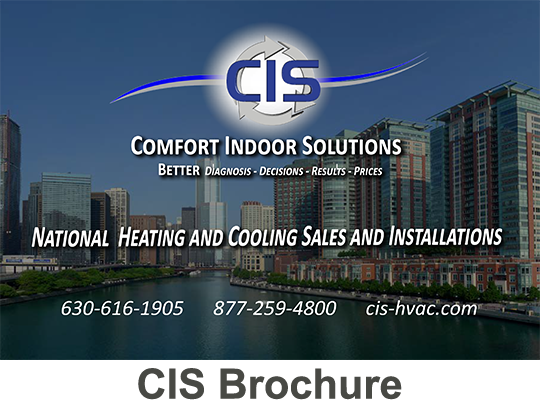 Comfort Indoor Solutions | Comfort Indoor Solutions is committed to becoming the finest HVAC company in the USA. Our history goes back nearly 40 years of making our customers happy and providing great product at a great price. Comfort Indoor Solutions can help you with all of your heating and cooling needs. Our National equipment consultants specialize in new HVAC technologies and insurance claims involving hail, theft and Fire. With our years of experience, CIS is known as the best HVAC consultants in the industry. Comfort Indoor Solutions has the unique ability to carry many of the finest HVAC products in the world. Whether you are commercial facility, school, religious facility or home owner, CIS has the products you need at the right price. CIS has the finest HVAC estimating staff in the USA. They are all certified and some have received nation recognition. Their single goal is to help our customer achieve great results.